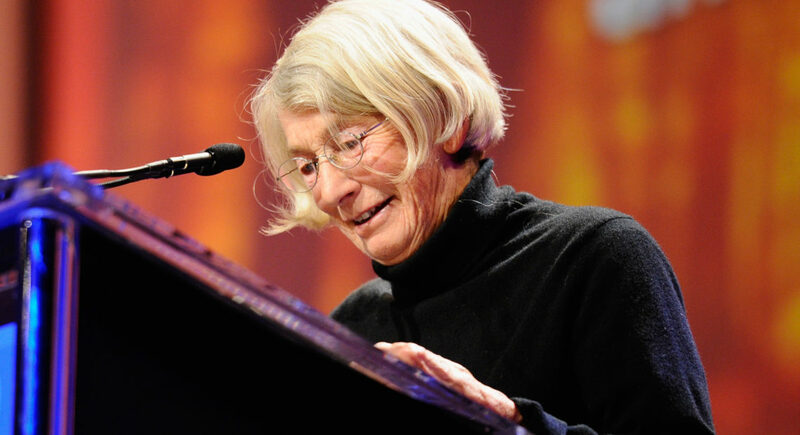 Much-loved poet Mary Oliver died Thursday, Jan. 17 of lymphoma, at her home in Florida. She was 83. Oliver won many awards for her poems, which often explore the link between nature and the spiritual world; she also won a legion of loyal readers who found both solace and joy in her work. Oliver got a lot of her ideas for poems during long walks — a habit she developed as a kid growing up in rural Ohio. It was not a happy childhood: She said she was sexually abused and suffered from parental neglect. But as she told NPR in 2012, she found refuge in two great passions that lasted her entire life. Oliver published her first collection, No Voyage and Other Poems, in her late 20s. She went on to win the Pulitzer Prize and the National Book Award. But writer Ruth Franklin believes such recognition probably wasn’t that important to Oliver. “I always had a sense of her as somebody who was just interested in following her own path, both spiritually and poetically,” she says. In a New Yorker article about Oliver’s 2017 book, Devotions, Franklin wrote that Oliver wasn’t always appreciated by critics, but she was still one of the country’s most popular poets. And there’s a reason for that. Tom Cole edited this story for broadcast, and Nicole Cohen adapted it for the Web.